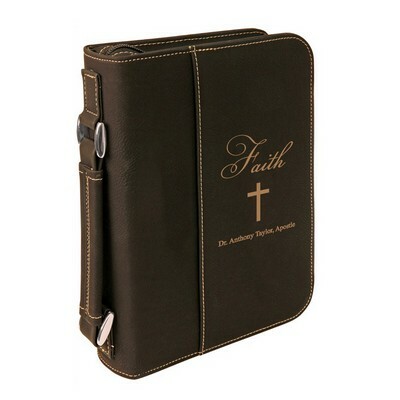 Keep your most prized personal possession safe with this gorgeously crafted rawhide leatherette Bible cover. 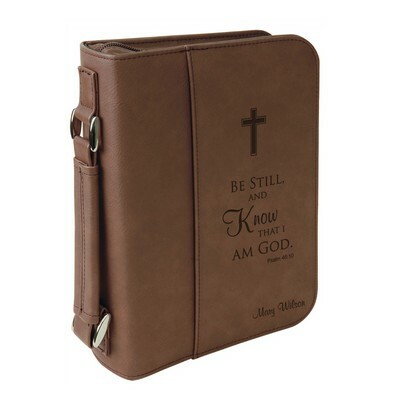 It features a stylish strap to easily hold your Bible on-the-go while keeping it protected, and there is a space to hold a pen for all of your note-taking needs. 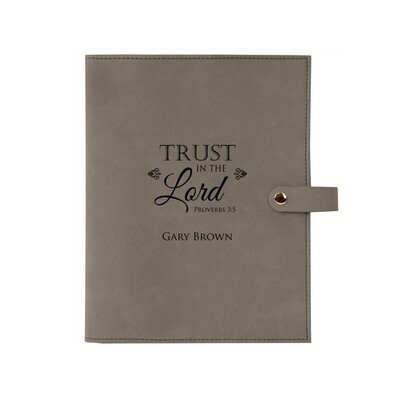 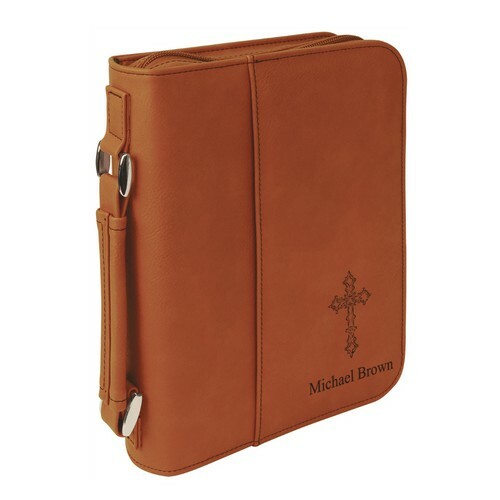 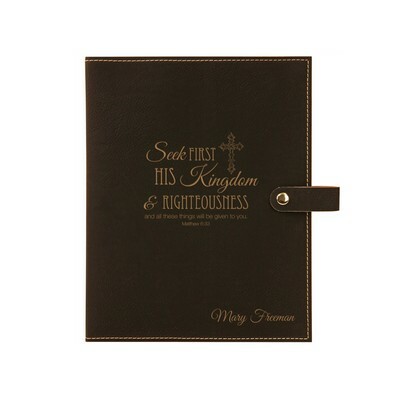 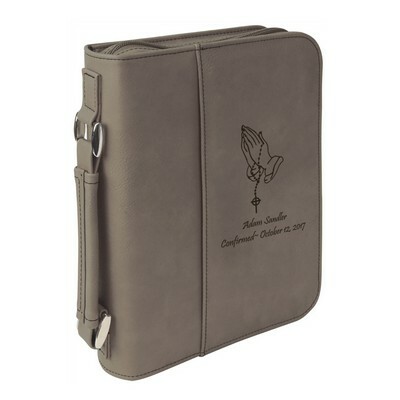 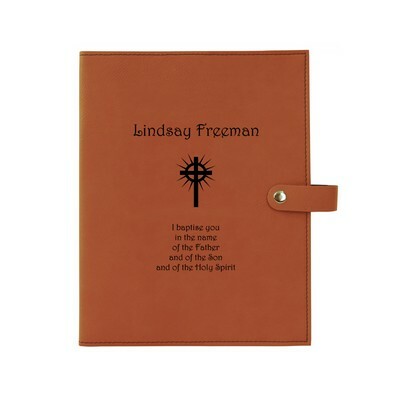 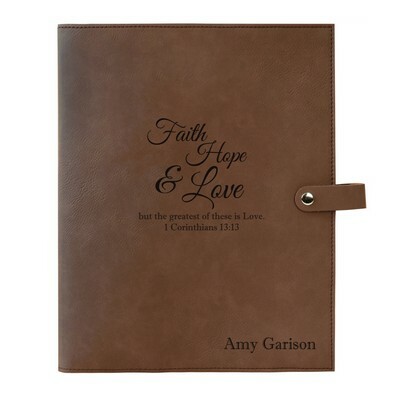 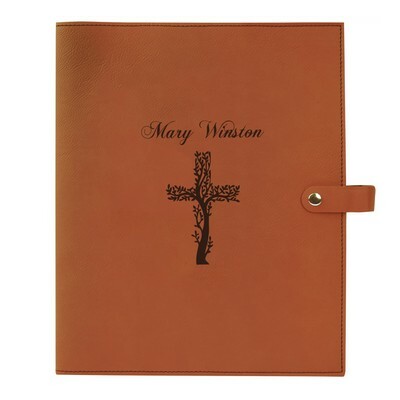 This personalized rawhide leatherette Bible cover is attractive, well-made, and durable. The option to personalize is what makes it so extraordinarily special! 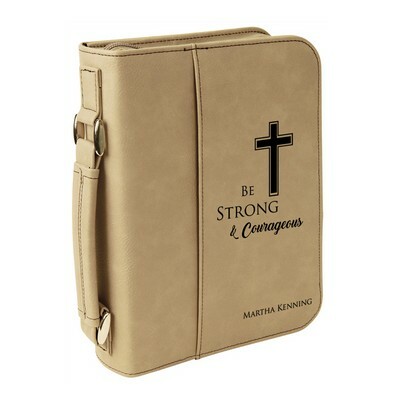 It will hold books up to 2" thick. 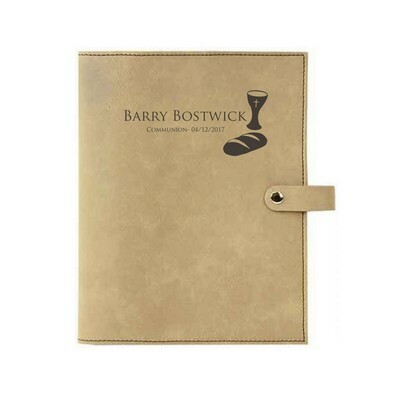 The cover measures 7.5" x 10.75".